I find pictures like this with lots of little building windows in it looks best big, they seem to have a tendency to look pixelated when viewed so small like this. I was surfing some Seattle posts on WordPress this morning and it started to make me miss the city, so I went through some old pictures and found this one from 2010. 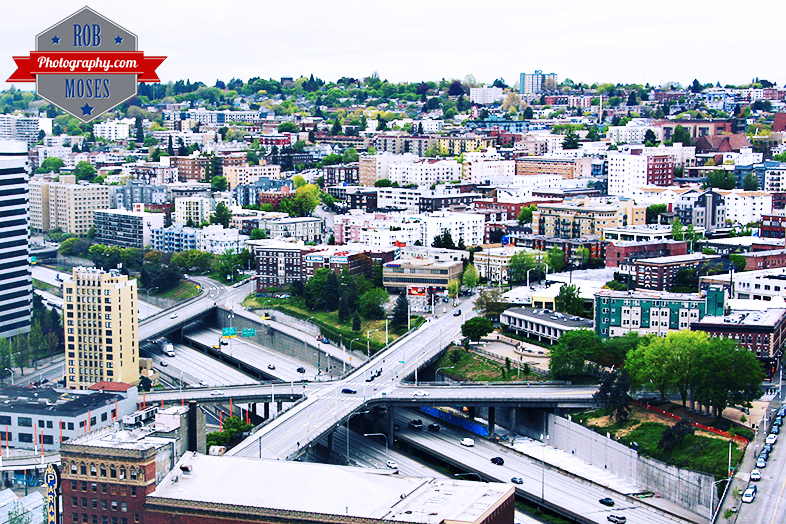 It is the wonderful neighbourhood of Capitol Hill in Seattle Washington. Amazing views of the city for loads of people living in these apartments! Wish I was in one of them ;). This entry was posted in Cities and tagged apartment, apartments, building, buildings, Canon, Capitol, Capitol Hill, city, City Life, condo, condos, freeway, hill, i5, metro, photo, Photography, Seattle, sky, skyscraper, street, Urban, WA, Washington, Washington State. Bookmark the permalink. Great photo! As I’ve mentioned before, I lived in Seattle for fifteen years (1997 to 2012). I still miss it! What building were you in (or on) when you took this shot? I should be able to figure it out, but I’m not quite sure. I took this picture from a room in the Hyatt Dan. I can’t remember exactly what floor I was on at the time, but it was a higher floor for sure. What brought you out to Minneapolis anyhow? Ahh, that makes sense! I was thinking about office buildings, not hotels! We moved to Minneapolis so my wife could take a job as the head of an independent school (pre-K through 12). She had been an assistant head of school in Seattle and wanted more challenges and opportunities! Oh I see, well that’s a good reason to move. Must be tuff though. I know it’s tuff for me to be up here in Calgary when I know how great living in the Pacific North West is. Calgary get’s the job done though. I have a feeling our cities are a little simular, minus the oil and gas part though haha. this is an awesome perspective…never been but this offers a good look! Lots going on in this image Rob.